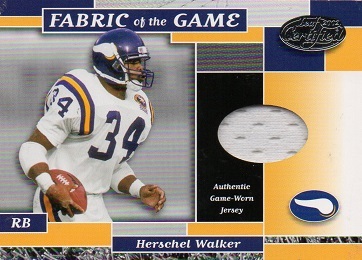 Another card from the Leaf Certified Fabric of the Game series joins the Hoard. 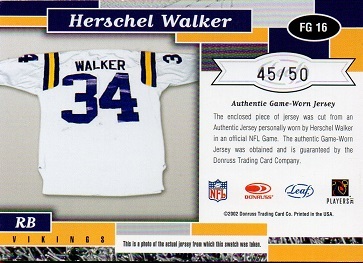 This is a jersey card from 2002, serial numbered to 50, with this example being #45. I now have 626 different Herschel Walker cards in my collection.